The Muslim Brotherhood created the Holy Land Foundation for Relief and Development (HLF) to "collect donations for the Islamic Resistance Movement [Hamas]," according to "overwhelming evidence presented at trial," government attorneys said in their response to defense appeals. HLF, once the nation's largest Muslim charity, and five former officials, were convicted in 2008 on 108 counts tied to illegal support for Hamas. Defense attorneys raised a dozen issues in seeking to have the Fifth Circuit Court of Appeals overturn the convictions, emphasizing testimony given by anonymous Israeli security officials, challenging the admission of evidence and testimony and arguing that imagery involving Hamas attacks unfairly inflamed juror emotions. HLF's Hamas connections were shown through a variety of evidence, the government brief said. HLF fundraising events drew from "a stable of overseas speakers" which "included several well-known Hamas leaders." 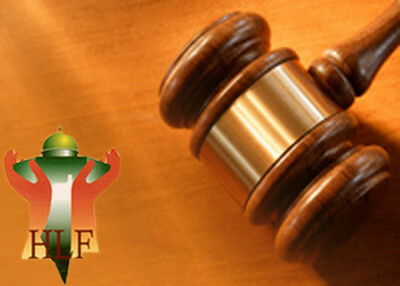 Internal documents admitted into evidence showed HLF was a part of the Palestine Committee, a group created by the Egyptian-based Muslim Brotherhood to "supervise American groups working to provide "strong support for their tool and striking wing, the Islamic Resistance Movement (Hamas)," the brief said. The Muslim Brotherhood is an Egyptian-based revivalist movement that seeks to spread Islamic law throughout the world. Long outlawed by the Egyptian government, there are concerns about what direction the country would go should the group gain power in the wake of President Hosni Mubarak's departure. HLF's connection to Hamas was used by government attorneys to render two defense arguments as moot. Defense attorneys argued their clients received excessive prison sentences due to a "terrorism enhancement" factored in by the court. In addition, they felt exhibits about Hamas attacks were offered more for shock value than as a means of informing the jury. The terror enhancement was properly applied, the government brief said, because "the overwhelming evidence presented at trial prov[ed] that they established and operated HLF for the purpose of providing funds to Hamas, a group dedicated not only to influencing the conduct of government by intimidation or coercion, but ultimately to destruction of the government of Israel by violence." Images and testimony about Hamas attacks and from events glorifying the terrorist group were not gory and were necessary to show that HLF was not merely an innocent charity trying to help needy people. In one example, one of the anonymous Israeli witnesses testified about a disk taken from an office that received HLF money. It showed a poster of Hamas suicide bomber who attacked an Israel night club. The same image was also found on HLF's computers. Jurors needed to know what Hamas stood for and about the violence it sponsored, the government argued. Showing the defendants working in support of that proved they shared more than a benign Islamist political viewpoint. "Most of the evidence appellants allege was unfairly prejudicial came from HLF's own computers or files or from those of the committees HLF supported," the government argued. "Hamas materials obtained from HLF or the committees were highly probative in establishing that those entities were tools of Hamas rather than independent charitable institutions as the defense claimed." On the issue of testimony from the two unnamed Israelis, defense attorneys were given 20 volumes of the original documents the witness known as "Avi" used in studying the local charity committees which received HLF money. Those committees, his testimony and independent exhibits showed, were controlled by Hamas. Defense attorneys had sufficient information about the Israeli witnesses' backgrounds to cross-examine them and challenge them for any biases, the brief said. In addition, citing drug prosecutions, government attorneys argued that courts have allowed similar testimony when disclosure of the witness's name could put them or their families in danger. Evidence literally unearthed from Palestine Committee insiders shouldn't have been admitted during the trial, defense attorneys had argued, because they were unduly prejudicial and amounted to hearsay. In rebuttal, the government brief acknowledged the documents taken from Hamas activists Abdelhaleem Ashqar and Ismail Elbarasse – an aide to Hamas deputy political chief Mousa Abu Marzook – "were certainly prejudicial," as they placed defendants Ghassan Elashi, Shukri Abu-Baker and Mohammad El-Mezain on the Palestine Committee. But in that regard, all damning evidence is prejudicial, the brief said. It reviewed the role the Palestine Committee played in identifying ways to "derail" U.S.-brokered peace accords between Israelis and Palestinians in 1993. Meeting in Philadelphia, the group plotted public relations strategy "because in the United States the authorities and public opinion increasingly recognized Hamas as a terrorist group, it was necessary to change their public message to conceal their alignment with Hamas." Omar Ahmed, who would go on to help create the Council on American-Islamic Relations (CAIR), was called a "Palestine Committee leader" in the brief. When the group discussed deceiving Americans about their Hamas support, it noted, he urged his colleagues to "learn from your masters" at HLF. Oral arguments could take place later this year. A separate appellate brief was filed about representation for HLF itself. After a 2007 mistrial, the attorney for the foundation withdrew but continued to represent former HLF President Shukri Abu Baker. When a new judge presided over the 2008 retrial, no one raised the issue of who spoke for the charity. Government Rebuts Convicted Hamas Charity Appeal!. Any one that aids and abets, a Charity that has direct links with any Terrorist organisation,should be punished and property confiscated, and deported back to Islamic world. So simple to reduce the legal argument, to he bare facts of the case. As we watch and listen and say it could never happen here in the USA. Think again and consider the facts that have been reported. 1 Sharia Honor killings on American soil and a U.S. Judge that ruled a muslim man had the right to take his wife by force. 2. Somalian (muslim) cab drivers refusing to allow service animals in their cabs in M...innesotta. 3. Target Cashiers (muslims) refusing to ring up people buying pork products and Target finding other positions in the store for them. 4 How many foreign doctors are practicing in the USA and how long before they feel they can refuse medical treatment to an Infidel (Christian or Jew) an Islamic non believer. Muslims in powerful positions put there over the years quietly until they are the majority. We must put a stop to it NOW.